Amy Trubek. Making Modern Meals: How Americans Cook Today. University of California Press, 2017. Amy Trubek, an anthropologist (who also trained as a chef) at the University of Vermont, turns her attention to the meaning of cooking in our current era. Cooking is, as she titles her chapters, at once a chore, occupation, art, craft, and means to achieve health. She approached these topics as an anthropologist, using participant observations of bakeries and interviews with city and rural participants about their thoughts about cooks and cooking. She uses this research as a window on contemporary life. So, what of the dominant narrative that cooking is in decline because home cooks don’t cook…Can we trust this assumption? Not really….Perhaps the culprit is the organization and structure of modern life. In multiple discourses (occurring in cookbooks, historical and contemporary media, interviews with cooks, etc.) there exists a pervasive sense of lack and loss as to what we can and should do in our domestic lives. Almost seventy years ago, Avis DeVoto complained that she did not have time to cook…In this narrative, home cooking is much more episodic than in earlier times because it needs to be, given the expansion of daily demands, and skills and tasks related to meal preparation are given up so that cooking can be fit into modern life [pp. 106-107]. Bee Wilson. 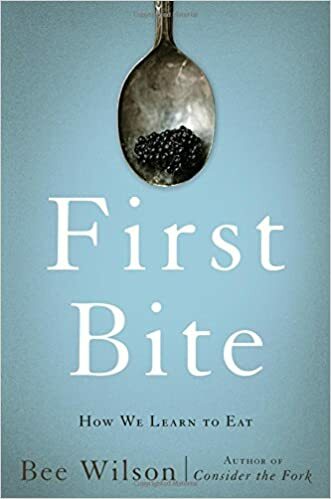 First Bite: How We Learn to Eat. Basic Books, 2015. No one is too busy to cook. Rethink what counts as a main course. If you want your children to eat better, don’t tell them what to do: eat better yourself. Susannah Worth. 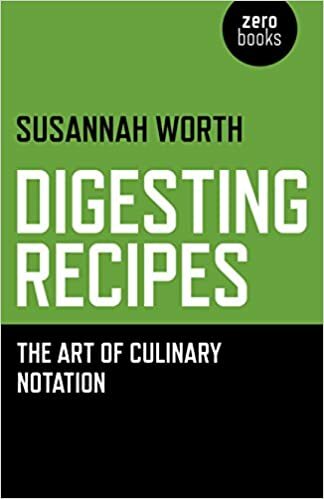 Digesting Recipes: The Art of Culinary Notation. Zero Books, 2015. Digesting Recipes takes an off-beat and highly refreshing post-modern look at cookbooks as markers of cultural identity. Recipes, it makes clear, are far more than cooking directions. After reading this, I have a whole new appreciation for what recipes can tell us about the deeper meanings of modern society. Leanne Brown. Good and Cheap: Eat Well on $4 / Day. Workman, 2015. Leanne Brown is a graduate of our food studies program at New York University who, while in graduate school, became concerned about the plight of SNAP (food stamp) recipients who must feed their families on an average of $4 per day. She wrote this book for them, first as a class project, then as an online gift, free for the taking. It was downloaded 700,000 times. Then she went to a Kickstarter campaign to self-publish the book. At some point Workman picked it up. It’s won an award from the International Association of Culinary Professionals and a place for Leanne in Forbes 30 under 30 for 2015. The book has truly delicious recipes. It starts with tips useful for anyone on a food budget. I’m proud of what she’s accomplished. The book is beautifully photographed, the recipes are terrific, and every time a copy is sold, Workman will donate another one to someone who needs it. Cricket Azima. Everybody Can Cook. DRL (Different Roads to Learning) Books, 2015. This is for kids ages two and up. It’s more than a cookbook. It’s a curriculum. Cricket Azima, who founded and heads The Creative Kitchen, aims this at all kids, but especially those with physical and developmental disabilities. People like me are always talking about how important it is to teach kids to cook. You aren’t sure how? Cricket Azima’s Everybody Can Cook is just what you need to have fun with your kids in the kitchen. The recipes are easy and delicious. Get your kids to start making dinner! Thanks to Dorothy Cann Hamilton’s International Culinary Center for sending this Christmas gift—how its students do gingerbread. See you in the new year. May it be a good one for all. Jennifer Cognard-Black and Melissa A. Goldthwaite, eds. 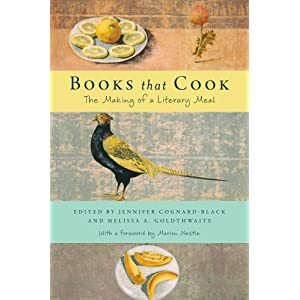 Books That Cook: The Making of a Literary Meal. New York University Press, 2014. Books that Cook brings the food revolution into the study of English literature— brilliantly, deftly, and with no apologies. No apologies are needed. As editors Jennifer Cognard-Black and Melissa A. Goldthwaite explain, Food Studies necessarily encompasses literature. Basic food texts—cookbooks and recipes—are as much a form of literature as are fiction, non-fiction, memoirs, and poetry. And why not? They tell stories. They convey myths. They are replete with drama, symbolic meaning, and psychological insight. Furthermore, they offer plenty to talk about: culture, religion, ethics, personal identity, and anything else that it means to be human. That food generates profound literary memories is famously known from what ensued after Proust dipped his madeleine in tea. Writers of all time have used food memories to spark traditional literary texts. Today, we view cookbooks and recipes as equally worthy of literary analysis. Even recipes. 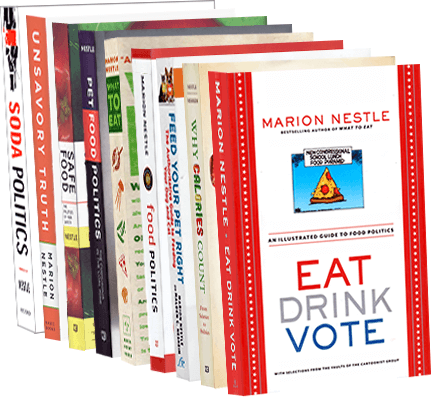 Books that Cook propels the food movement and in doing so makes a political as well as a literary statement. It makes a difference. Read it. Savor the writings. Delight in them. Think about them. And if they inspire you to do your own writing about food, so much the better. From farms to community gardens to restaurants, women are taking food back into their own hands. So why do men keep getting all the credit? This last phrase got my attention, particularly because she mentions me in the article. Interesting, no? The Foreword was fun to write and the book is fun to read. Thanks Jennifer, Melissa, and NYU Press for this contribution to food studies, published today, and most welcome.